In real life, I really enjoy feeding birds and watching them go about their busy life. In my SLife, our home sim is full of chirping, tweeting and fluttery wings. So I thought I would bring out a collection of birds you can expect to see at your bird feeder. If you live on the Eastern seaboard of the US or Canada that is. 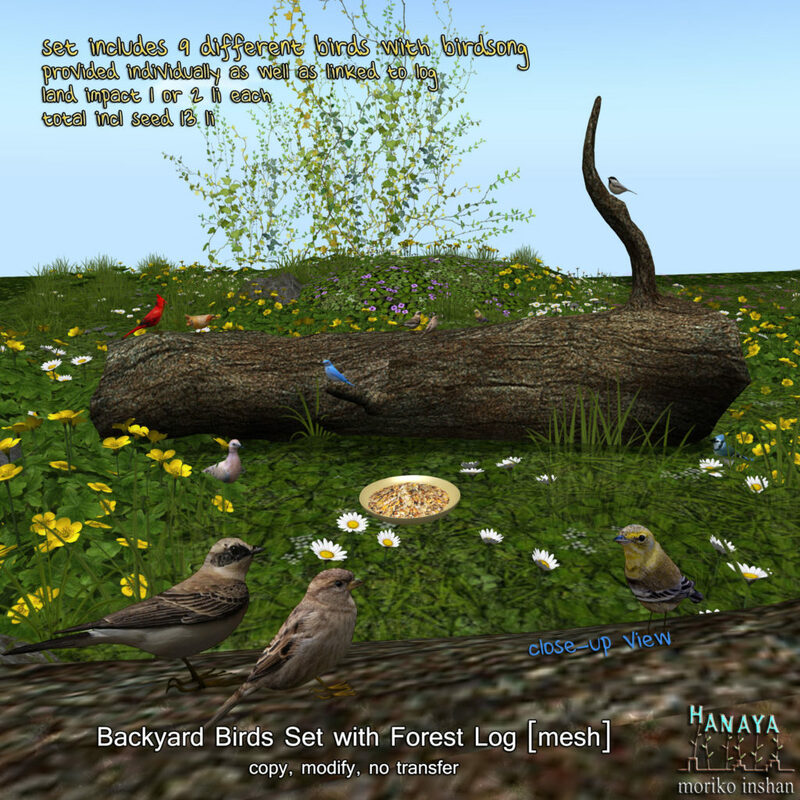 The -Hanaya- Backyard Birds Set includes 9 individual birds, each with their own appropriate bird song. Thanks to Lance Corrimal, my heroic helper/scripter for the sounds. The birds are provided separately and are clickable for sound on/off. Also, the set includes a log with all of them linked to it, including a plate of bird seed. The linked set has a land impact of 13, and each bird separately is either 1 or 2 li. This entry was posted in Product Announcements, Uncategorized on February 21, 2017 by moriko.